Show your love for your pet and bring them home with a Princess Heart Large Engravable Pet I.D. Tag! 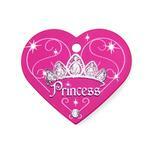 The Princess Heart Large Engravable Pet I.D. 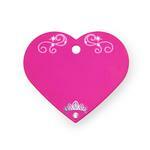 Tag in pink will show the world that your dog is royalty and should be handled with care. This bright pink heart will sit next to hers and proclaims that your pet is a princess. 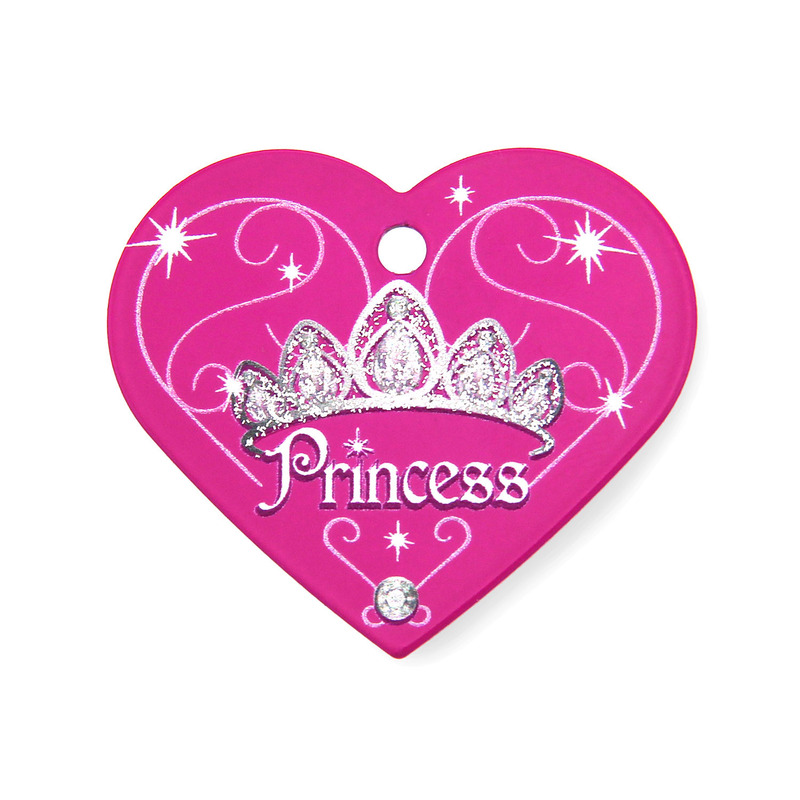 To illustrate this point, this lovely tag features a beautiful tiara that's enhanced with shimmery glitter and the word "Princess" in a feminine font. On the back, the scrolling design continues with another tiny tiara. This is where your personalization will appear. You may use up to 4 lines of text with 16 characters per line. This luxurious tag is ideal for any diva dog that wants the world to know she's royalty. The bright pink is eye catching and easy to spot. It pairs beautifully with many of our sparkling collars to make your princess feel like a queen! Posted On 02/22/19 by Manteca from Manteca, CA Yes, Manteca recommends this product! Posted On 03/27/17 by Danielle G from , MA Yes, Danielle G recommends this product! Love this ID tag truly goes with my dogs Diva princess personality. The engraving is also great quality and easy to read.